Your cat, your dog, your horse or your bird depends on you to care for them. And a big part of your doing that successfully is in knowing how to understand them and communicate with them. Wouldn’t you like to know what they’re thinking about? Would you like to know the latest funny story that the horses are sharing in the stable? What your dog thinks when he comes back from the dog park? What your cat can dish about the latest gossip in the neighborhood? Communicating with your animals is really fun, your life will never be the same. If your heart is calling you to learn animal communication, then don’t wait. It’s the most important step you could ever take in understanding what your animal is trying to tell you. You’ll save hundreds, often thousands of dollars, as well as wasted time, effort and energy when you can talk with your animal. Don’t waste your money on animal gifts that don’t make a real difference in the quality of your animal’s life, health and long term well-being. 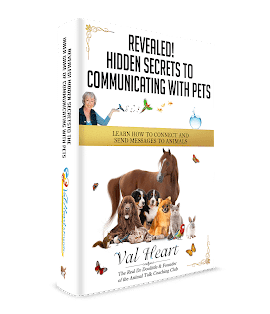 Give the gift of learning heart centered animal communication this year to you and your animals, and change your life.